We want to be very clear that our Trump victory party and conference this coming weekend (RSVP HERE, required for admission) should also be a unity party – for those who were all through the primaries for Donald Trump, for those supporters of other candidates during the primary, for those who reluctantly supported Donald Trump for President, and yes even for those who did so with less enthusiasm or even, not at all. This is a conservative gathering where in addition to our hope to promote WHAT WE CONSERVATIVES WANT from a Trump White House with a conservative Republican Senate and House, we wish to promote unity in our ranks for the fight ahead, especially the first 100 days of the pending Trump Presidency. This 17th annual Freedom Leadership conference kicks off with a 12 noon lunch with remarks by Governor James S. Gilmore III at the Wingate by Wyndham 3940 Centerview Dr. Chantilly, VA. 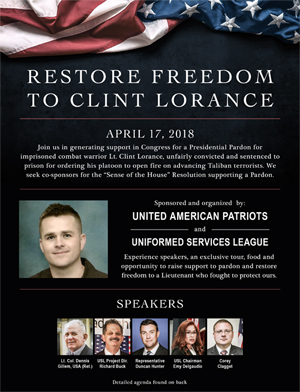 If you cannot attend the lunch ($17), the conference begins at 1 PM ($5) and runs until 5 PM with nearly a dozen conservative cause organization sponsors. We are grateful that some who were not as enthusiastic as the rest of us about Donald Trump are now expressing public support of President-Elect Donald Trump, such as former GOP nominee Mitt Romney, Governor John Kasich of Ohio. In particular the very enthusiastic remarks of Speaker Paul Ryan do much to promote the unity we are going to need for the conservative agenda to be enacted during a Trump era which starts with the new 115th Congress being sworn in on January 3, 2016. You can do your part to help promote this unity and help us point the direction for a successful era for President elect Donald Trump by joining us this Saturday at the 17th annual Freedom Leadership Conference, RSVP required for admission click HERE. Most of our readers, supporters and conference attendees live in Virginia, which came very close to going for Donald Trump. Although we are very disappointed that we did not prevail in Virginia, we can take great solace in knowing that we helped pin down major resources from the Hillary Clinton campaign, which otherwise would have been devoted to Florida, Georgia, North Carolina and especially Pennsylvania, which shocked the political pundits, the Hillary Clinton campaign, the so-called mainstream media by going for Donald Trump. If we had not carried these states then Donald Trump would not be President-Elect so we remind our readers that this happened because of the good fight we put up to persuade people to vote the Republican ticket. Of course our conservative cause is broad and there are divergent views within our ranks. But we need to all come together to help President Trump and the new Congress enact the reforms which were promised. In a past dispatch to you, in error we said that we thought some of those who have now come together to celebrate the coming era of President-Elect Donald Trump and the 115th Session of Congress, were actually cheering for Hillary Clinton when she won Virginia. That was as bad an excess of language as anything we have seen by the pre-GOP convention critics of Donald Trump and even by the critics after he had become the nominee. We apologize for publishing that. There were actually two different drafts and your Editors approved the draft which is at the website now, not the draft accidentally sent out. It was simply a matter of, which draft was approved and then BIG OOPS – the one NOT approved is the one sent out. Again, we apologize for the error. We don’t apologize for their having been a hard fought primary race to select the best and the strongest candidate. To be honest, most of your Editors and Leadership at Freedom Leadership Conference, favored almost any other candidate than Donald Trump to be the GOP nominee. We felt he was the weakest and most vulnerable candidate. It turned out we were wrong. The things thrown at Donald Trump, especially during the final month, should not fool you. No matter who the nominee was – especially if it was a strong conservative like Ted Cruz or Dr. Ben Carson – would have been awful and just as vicious. It has always been this way, and most GOP nominees in the past, have been stunned by these attacks and haven’t counter-attacked as strongly and effectively as Donald Trump did. The important point now is that in victory we need to follow the lead of President Elect Donald Trump and of Speaker Paul Ryan, and do everything we can to unify our party and our cause behind a Republican leadership which is in even stronger shape to enact conservative reform than Ronald Reagan was, who did not take office with control of the entire Congress. So we hope anyone we offended by our previous post will accept our apology, and we will join together to work to enact our conservative Republican platform, which we will be helping define at this Saturday’s Freedom Leadership Conference. In particular we congratulate and appreciate that our Congresswoman Barbara Comstock has by her election in a difficult district, made a major contribution to giving Donald Trump a Republican majority in the House without which we might not have a successful first 100 days starting in January and Trump Administration. No doubt there will continue to be some differences within the GOP – such as WHAT will we replace Obamacare with to name one – but the important thing is, America is a better place with Hillary Clinton and her allies out of power in Washington. For all those we need to work together with as a team, we thank you in advance for what you will be helping accomplish which will benefit our country. Most of all we want to thank those whose tireless work helped make this victory possible – such as our keynote Speaker, himself a former candidate for President and former Governor, James S. Gilmore III. No one knows better than Governor Gilmore how important it is to unite our party to defeat the Democrats as he has done this, not just talked about it. We look forward to hearing his formula for victory at the luncheon this Saturday and his recommendations to the new President and Congress on Homeland Security. It isn’t too late to reserve your seat at the lunch ($17, starts 12 noon) or the conference ($5 starts 1 PM, free for those who lunch attendees, click HERE to reserve your seat (no admission without RSVP).